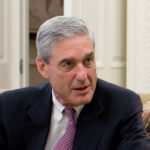 When Donald Trump’s handpicked Attorney General William Barr released a four page “summary” today of Special Counsel Robert Mueller’s report, it felt wildly at odds with everything Mueller was investigating about Trump, and everything that we’ve seen play out in plain sight. Now it turns out there’s semantic proof that Barr has indeed taken Mueller’s Report out of context. Palmer Report readers know that I can be critical of MSNBC during its most histrionic moments. But host Ari Melber nailed it this evening when he noticed something remarkable about Barr’s summary. Despite being four pages long, it didn’t quote a single full sentence from Mueller. Why is this important? Imagine you’ve been given a very lengthy secret report. Your task is to summarize it for the public, in a way that’s going to give the public confidence that you’re being honest about what’s really in the secret report, and you have no limit on how long your summary can be. You’re going to make a point of quoting the secret report as directly as possible, particularly when it comes to the key points that the report makes. Instead, William Barr did the precise opposite. Each time he quoted the Mueller report, he cherry picked sentence fragments, and never did include a complete sentence. In other words, he clearly took those fragments out of context. His only reason to chop up Mueller’s words so finely would be to try to alter their meaning. This “summary” is bogus. House Democrats will seize the real Mueller report soon enough.